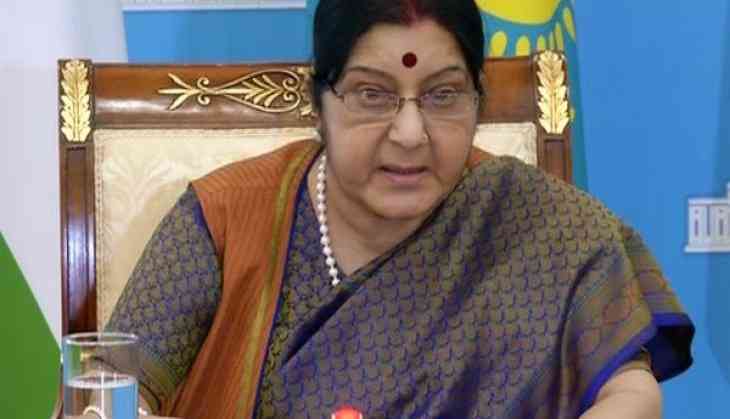 External Affairs Minister (EAM) Sushma Swaraj has stated that the Pakistani government has so far neither agreed to include visits to Kartarpur Sahib by Indian pilgrims under bilateral protocal nor has sent any official communication for establishing the corridor. Swaraj wrote to Union Minister Harsimrat Kaur Badal saying, "Dear I received your letter of 13 September 2018 regarding facilitating visits of the Indian pilgrims, including through a corridor, to the holy Gurudwara Kartarpur Sahib located in Pakistan. The Government has been taking up the matter with Pakistan. However, Pakistan has so far neither agreed to include visits to Gurudwara Kartarpur Sahib by the Indian pilgrims under the bilateral Protocol on visits to religious shrines of 1974 nor has it sent any official communication for establishing a corridor." In the letter dated September 15, Swaraj further informed that over past many years, Pakistani authorities have only allowed limited number of visits of the Indian pilgrims to the Gurudwara along with the visit to other shrines in Pakistan. The EAM also assured you that "government remains seized of the matter and will continue to take up the matter with Pakistan." Swaraj's statement has punctured Punjab Minister Navjot Singh Sidhu's claims, who on the occasion of the 550th birth anniversary of Guru Nanak said that Pakistan will open the corridor of Kartarpur Sahib. The Congress leader had also hailed this move as a goodwill gesture. Earlier on Monday, Minister of State for External Affair, General (Retd.) VK Singh had also stated that India has not received any proposal from Pakistan to open the Kartarpur route between the two countries.